Dropbox has merged its three different (and sometimes confusing) business plans into a single one. Gone are the 100GB, 200GB and 500GB tiers; the popular cloud-based storage outfit now offers Dropbox Pro with 1TB online storage for $9.99 per month (£7.99, about AU$11); an annual subscription costs $99 (£79, about AU$110). Box.com offers unlimited storage for $180 per year (about £120, AU$200) while Google charges $120 (about £70, AU$130) for the same amount as part of its Apps Unlimited offering (which offers a number of additional services as well). But Microsoft remains the cheapest by far charging only $30 for 1TB of storage as part of its OneDrive storage for business service. Users on any of its Office 365 accounts (Small Business, Small Business Premium or Midsize Business) get it for free and in the case of the last two SKUs, complete with full Office Applications. Dropbox also added new sharing controls like the ability to add passwords for shared links, to expire them and to add view-only permissions for shared folders. 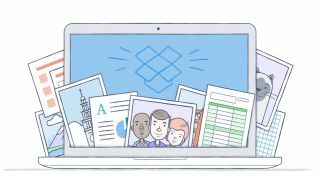 Storage owners will also be able to remotely wipe files from a lost or stolen device while keeping the backed up copies safe in Dropbox's server. The company didn't provide with more details about the remote wipe feature.